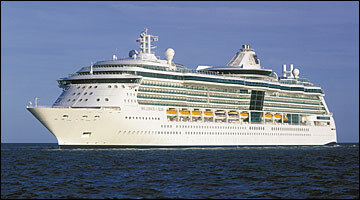 Onboard Brilliance of the Seas®, you dont have to go far to be amazed. With acres of glass offering stunning views out to sea and the golden glow of sunrise and sunset every day, plus fantastic onboard features for guests of all ages, it’s easy to see how this ship got its name. Feel at home, no matter where you are in the world, with spacious, comfortable accommodation youll love coming back to. Choose from a fantastic range of activities onboard, from rock climbing to basketball. Take in some incredible aerial acrobatics at the stunning Centrum and enjoy a choice of delicious food - from Mexican to Italian – at one of the onboard restaurants. There’s something for everyone onboard Brilliance of the Seas®, from tiny tots to great grandparents and everyone in-between – it’s the ultimate family holiday!